Today I opened our old metal mailbox and found Morning waiting for me. 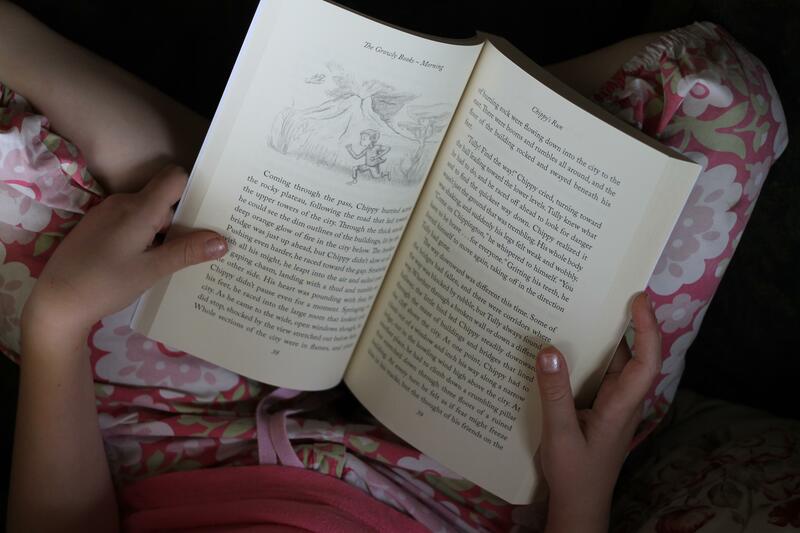 Each of the Growly books, when I have held it in my hands for the first time, has filled me with a little bit of wonder. I’m still amazed, grateful that I have the privilege of bringing these characters to the page, visually; characters that were born in stories in someone else’s imagination, characters that I’m reading in letters and words and sentences and filtering through my own stories and childhood and imagination, and then penciling out in simple lines. Wonder and a bit of trepidation: I hope I’ve done them justice. The process of illustrating a story means sifting through pages of the story you’re drawing out, and then revisiting the stories that shaped you. The bears in the Growly Series brought me back to my love for Maurice Sendak’s Little Bear and Garth William’s illustrated animals, and the bears that slowly slugged through the back woods of my childhood home. As I read through the initial manuscript, I sort through questions in my mind. How much, as an illustrator, do I draw out the humanity of these characters, stretching lumbering bears into walking, talking friends, or do the bears and monkeys and birds I’m sketching lean more heavily on realistic animals? Is their clothing solidly representative of a past era, the future, or somewhere in-between? The pencil meets the page somewhere between the litany of detailed questions and the gut-level impulses that happen when you just start drawing. Visually, characters are planned, but characters also emerge. Sometimes I’m surprised myself at how they take form. I love that the illustrations are scattered throughout the book, allowing children plenty of room for imagining what the scenes and details of the story might look like. Most of an illustrator’s work happens in the imagining, and children are experts in this field. So as you read Morning with your children, ask them to describe how they envision Grubbel’s teeth or to draw the characters’ expressions in the final moments of the book. Learn from your little ones how they see, maybe even dare to pick up your pencils together, and see what emerges! Thanks so much, Annie, for sharing a bit of the illustrating process with us! Readers, we would love to see your Growly artwork. Share it on Instagram or Twitter with the hashtag #thegrowlybooks, or email it to us so we can share it! 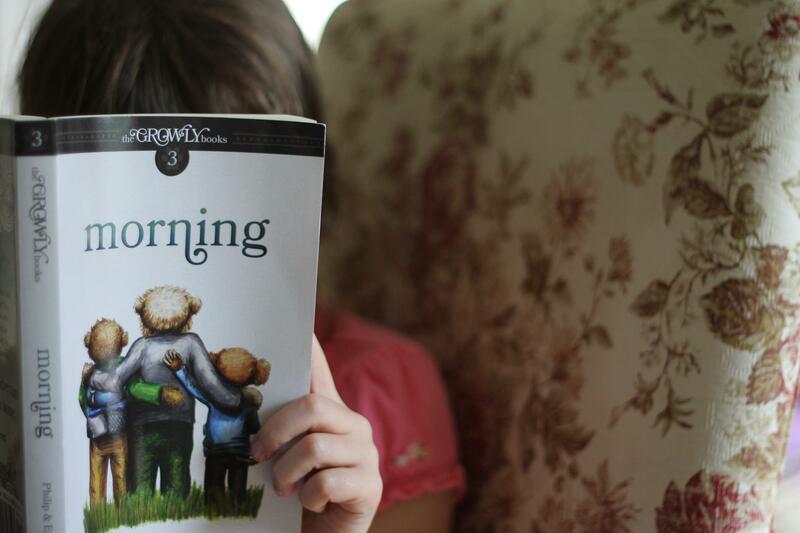 Book 3, Morning, is now available! All books purchased in our website store this week (June 10-16, 2014) will be signed by Phil and I (including your child’s name, or yours :), in the inscription). All the maps from the Growly trilogy are available as free downloads. Also, check back tomorrow for a brand new printable! The Kindle version of the first Growly Book, Begin, is available for FREE on Amazon through Thursday, 6/12. Grab your copy today and help us spread the word! Annie Barnett is a creative soul who pours her days into her family and her art. As a child, Annie dreamed of illustrating children’s books, and always had a pencil and sketchbook on hand. She writes sporadically at AnnieAtHome.com and she’s stepping tentatively into a new space, offering her prints on Etsy and entering the conversation about art and faith at Be Small Studios. i love the idea of the character emerging! I have little artists on my hands, so thank you for sharing. And I can’t wait to dig into the books. I have been meaning to buy them and just hadn’t yet! Little artists are the best kind! Hope you enjoy the books and they encourage some creativity in your house, Becky! Annie, Im so grateful for your willingness to share your art, and to Erin and her husband for the creation of these boks. I love these glimpses into the process, and to including our children in the creative process.